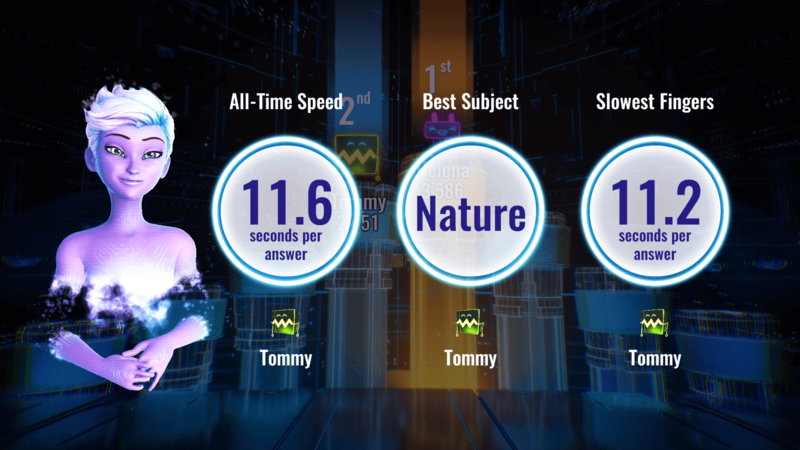 IT'S QUIZ TIME – THE FUTURE OF TRIVIA HAS ARRIVED! 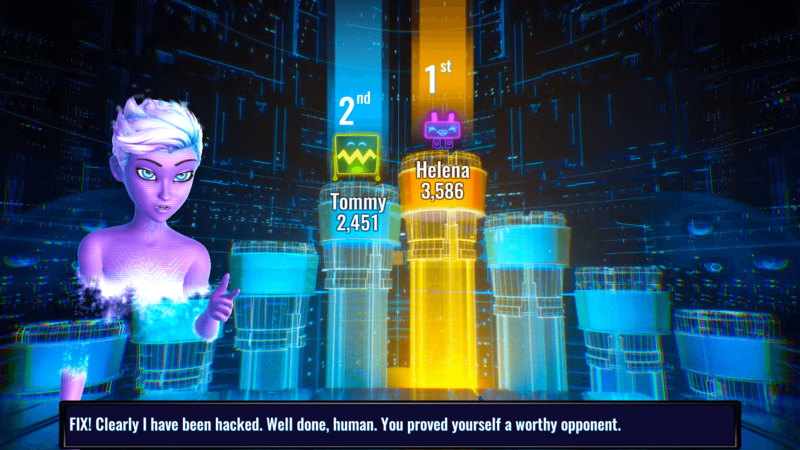 GO HEAD TO HEAD WITH THE BIGGEST QUIZ GAME ON CONSOLE AND PC… EVER! 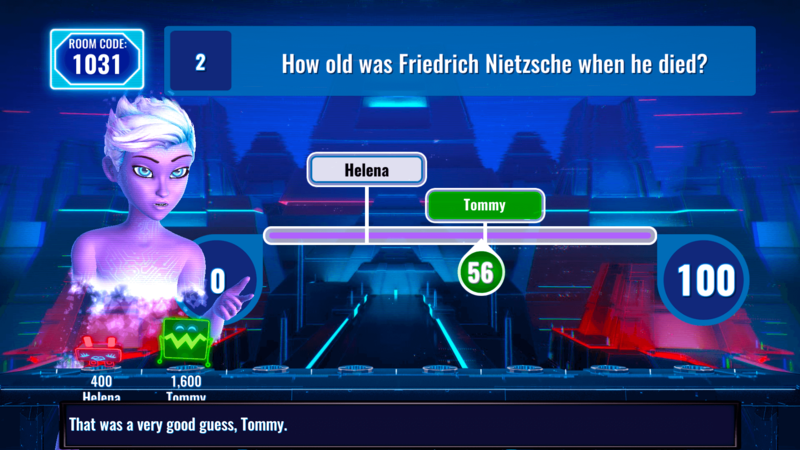 THE FUTURE OF TRIVIA HAS ARRIVED! 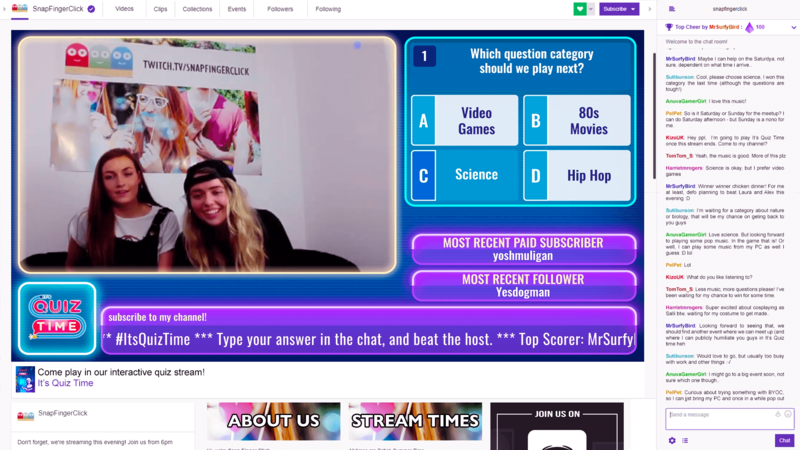 CONNECT UP TO 8 PLAYERS EITHER LOCALLY OR ONLINE TO BATTLE IT OUT AGAINST EACH OTHER, TAKE ON THE ONE AND ONLY SALLI IN SOLO SCORE ATTACK OR EVEN PIT UP TO 10,000 VIEWERS AGAINST EACH OTHER BY HOSTING YOUR VERY OWN QUIZ ON TWITCH. 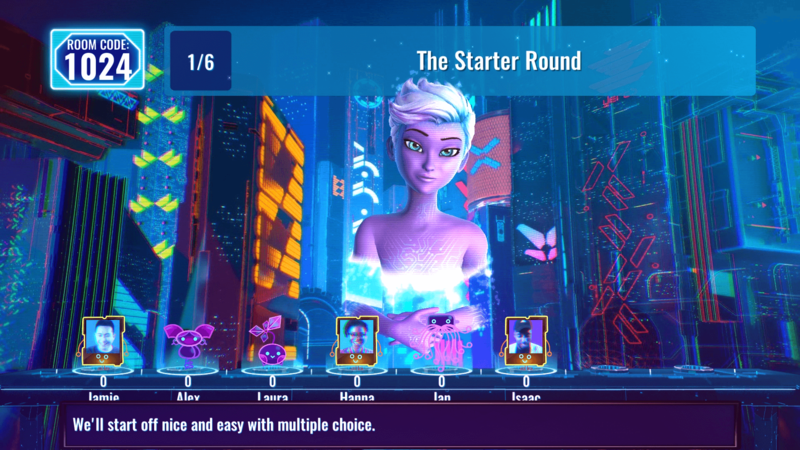 DOWNLOAD THE IT’S QUIZ TIME: COMPANION APP ON IOS OR ANDROID TO CONNECT UP TO 8 PLAYERS EFFORTLESSLY USING SMARTPHONES! DITCH THE CONTROLLERS TO TAKE SELFIES, HIDE YOUR ANSWERS, BLUFF, TAP AND SWIPE YOUR WAY TO THE TOP. 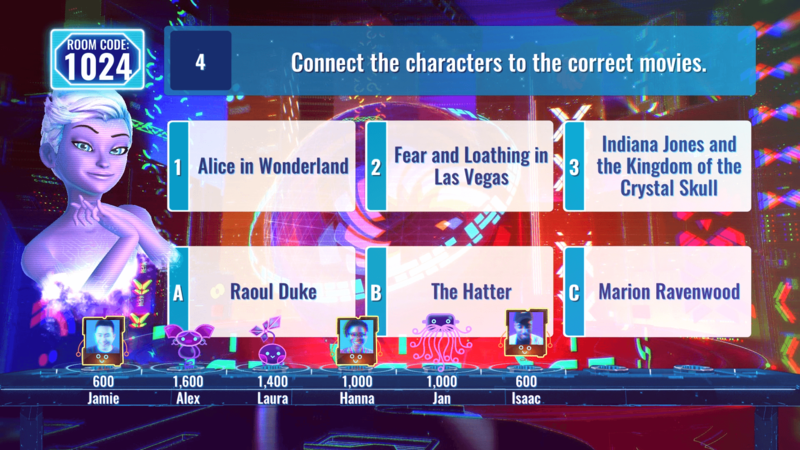 IT’S QUIZ TIME COMBINES THE CLASSIC AND THE INNOVATIVE WITH FEATURES YOU’VE NEVER SEEN BEFORE IN A QUIZ GAME. 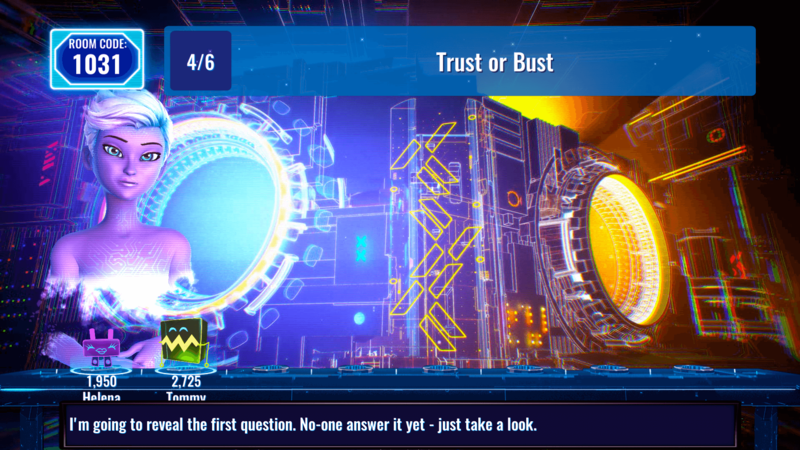 NOTE: SOME FEATURES REQUIRE THE IT’S QUIZ TIME: COMPANION APP. THE APP REQUIRES SMARTPHONES COMPATIBLE WITH AT LEAST IOS 7.0 OR ANDROID 4.4 (KITKAT). Witty, devious, intelligent and sassy, our advanced AI host Salli learns more about you with every session. Your highs, your lows, the topics you love and the questions you hate – Salli was built using leading technology to learn, grow and adapt around each individual player. Something we learned from Buzz! is how much players enjoy a personalised experience, which is why Salli will actually directly talk to you and your friends. 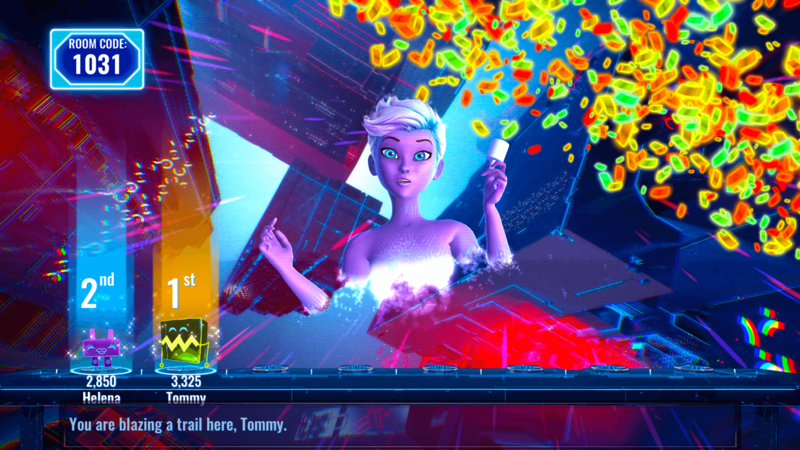 You don’t play as a character, you play as yourself – and Salli brings her futuristic world into your living room. With thousands of categories to choose from, it’s perfect for all ages! From cartoons to video games, sports and history: we’ve got you covered. Up to 8 players can simultaneously play together using their smartphones! Take selfies, hide your answers, and share with your friends – It’s Quiz Time gives you a whole new way to play. 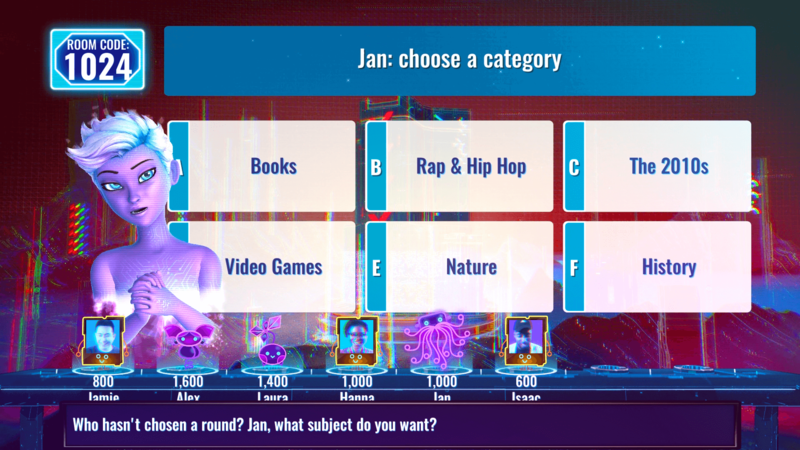 Play along with topical quizzes based on real world events, grab your controller for the Solo Score Attack, customise your round playlist, and more! Broadcast your game on Twitch, YouTube, or Mixer, in the innovative Live Show mode, where you can compete with up to 10,000 viewers. Live Show game mode is built from the ground up for live streamers on Twitch, YouTube, and Mixer to interact with and play alongside their audience. Up to 10,000 viewers can take part in the quiz with you using the chat function! This makes it the first natively Twitch enabled video game, offering you an entirely unique way to play and engage with your community. In October 2017, It’s Quiz Time took to TwitchCon’s mainstage with an incredible response. Streaming games on platforms like Twitch and YouTube has become hugely popular and we’re a big fan of it – in fact, at Snap Finger Click we stream multiple times a week! Join our stream to play along! ARE YOU INTERESTED IN BECOMING AN IQT OFFICIAL STREAMER? 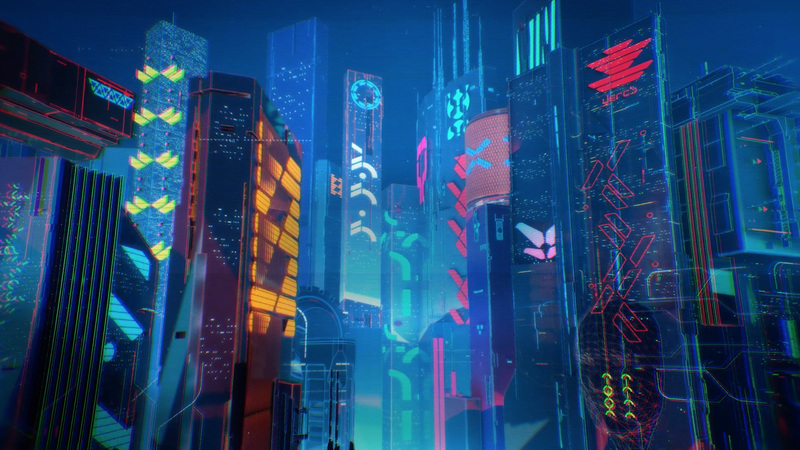 WANNA KNOW A BIT MORE ABOUT THE GAME? SO GRAB YOUR SMARTPHONE AND JOIN SALLI FOR THE BIGGEST PARTY TRIVIA GAME ON CONSOLE WITH IT’S QUIZ TIME! Copyright © 2017 Vision Games Publishing. Copyright © 2017 Standfast Interactive. All rights reserved.